What is Hardware and Software Testing? Are you preparing to release a new computer product? NTS can exercise your product’s functionality throughout the entire development cycle – alpha, beta and/or golden master phases of development. NTS can start by developing comprehensive test plans and detailed test methodologies or you can supply us with a specific test plan to execute on your behalf. Can be performed on hardware or software products to verify that your product functions exactly as designed. The general purpose of hardware and software functionality testing is to verify if the product performs as expected and documented, typically in technical or functional specifications. Developers creating a new product start from a functional specification, which describes the product’s capabilities and limitations. NTS Test Engineers utilize this specification, if available, as a guideline for expected product response. 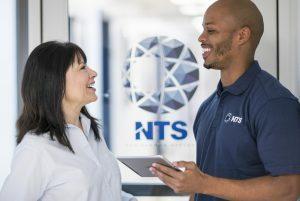 Tasks are exercised to test specific features or functions, and the results of these tasks are verified by NTS to be in compliance with the expected response. This type of testing is beneficial to product developers who are creating a new product or an existing product which has undergone significant enhancements or changes in capabilities. Is performed to make sure your product functions in its targeted use environment (e.g., different platforms, operating systems, chipsets, peripherals, manufacturers, etc.). 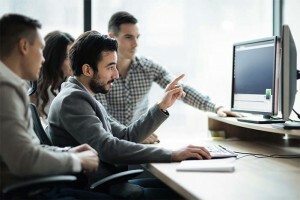 Often vendors also refer to compatibility testing as interoperability testing – either term refers to making sure your product functions correctly with other products in the “real world” when released. Validates that your product functions acceptably for the market in which you are releasing your product. No one wants a product that they have to wait for or that feels sluggish. Is performed to provide an independent analysis of a product in terms of how easy or difficult it is to use. This may cover documentation, installation, and product use cases. In addition, a range of different user experience levels may be evaluated. Allows you to perform repetitive testing quickly and easily by scripting your product with one of many different industry tools. Compares your product to similar products already in the market place. These may be products that you’ve previously released or competitive products, so that you can highlight your advantages – whether performance or usability. NTS has worked extensively with several standards groups/alliances on the development of commercial test tools. In particular, we have extensive experience in the development of test harnesses(hardware + software combinations) which can be used for pre-testing and development of products. NTS has developed several custom solutions to validate both the ZigBee Platform (NTS ZigTest application) along with a hardware/software solution for ZigBee Smart Energy certification (NTS ZigBee Smart Energy Test Harness aka NTS SETest, ZigBee Home Automation certification (NTS ZigBee Home Automation Test Harness aka NTS-AT HATest, etc. to verify ZigBee-based solutions to the necessary standards/profiles. We have also performed development for other standards groups and companies, including the MoCA Alliance and AACS, which are used internally to perform certification testing and standards validation. We are also currently in the process of developing a test tool for the USNAP Alliance. Our developers work in a wide range of tools, including C/C++, Java, Python, as industry standard automation tools such as HP Quick Test Professional, IBM Rational Visual Test, IBM Rational Robot, HP Mercury WinRunner, HP Mercury LoadRunner, National Instruments’ LabView, RadView WebLoad, and Borland SilkTest. We are tool agnostic allowing us to select the test tool or language most appropriate to the individual development project. We also have extensive experience with a wide range of test equipment, including vector signal analyzers, signal generators, sniffers, and related tools. We have all of the skills, equipment, tools, and knowledge necessary to help you develop a tool for your testing or certification program. Contact us today for more information!